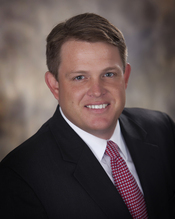 Todd Samuel Dierberger is a 1995 graduate of Beatrice High School. After attending Peru State College where he played baseball for two years, he graduated from Dallas Institute of Funeral Service in 1999 with a Funeral Directing and Embalmer’s License. Todd began his funeral service career by working for Jon Reichmuth at Reichmuth Funeral Homes outside of Omaha, Nebraska. In 2003, he became the manager of the Wherry Mortuary in Humboldt, Nebraska and later in 2005 partnered with Vaughn Wright and Joseph Davis in owning the Wherry Mortuaries and Monument Company. In 2016 Todd and Zachary Coffin purchased Harman-Wright Mortuary in Beatrice and Plymouth, Hall Funeral Chapels in Auburn, Falls City and Johnson and Southeast Nebraska Crematory from Vaughn and Tina Wright. Todd was born in York, Nebraska but grew up in Beatrice after age two. He was united in marriage to Samantha Becerra of Nebraska City, Nebraska on March 13, 2002. They have one son, Ethan, and a daughter Avery Jane. Todd is a member of The Christian Church in Humboldt where he serves as an elder. He is a past Assistant Governor of Area 4 for Rotary District 5650 and is Past-President of the Humboldt Club where he served presidency twice. Todd served as President of the Humboldt Chamber of Commerce in 2007, past board member of the Colonial Acres Nursing Home in Humboldt serving for twelve years, an assistant den leader for Troop #387 in Humboldt, member of the Nebraska Funeral Director Association, and currently on the Table Rock Cemetery Board. In his spare time, he enjoys coaching his kids activities, fishing, hunting, golfing, vacationing with family, playing basketball, and following any of the Husker teams. Zach grew up mostly in Lincoln, Nebraska and graduated from Lincoln High School in 2003. He earned his Associates of Applied Science Degree in Land Surveying/Civil Engineering from Southeast Community College in Milford, Nebraska in December of 2004. Zach then went on to earn an Associates of Applied Science Degree in Mortuary Science from Kansas City Kansas Community College in Kansas City, Kansas in December of 2007. He completed his National Board Certification from The International Conference of Funeral Service Examining Boards that same month. Zach completed his Nebraska State Board Certification in the spring of 2008 and was licensed as a Funeral Director/Embalmer in July of 2008. Zach completed his Kansas State Board Certification and was licensed as a Kansas Funeral Director and Embalmer in January of 2011. He is also a licensed preneed insurance seller and custom monument designer. In 2016 Zach and Todd Dierberger purchased Harman-Wright Mortuary in Beatrice and Plymouth, Hall Funeral Chapels in Auburn, Falls City and Johnson and Southeast Nebraska Crematory from Vaughn and Tina Wright. 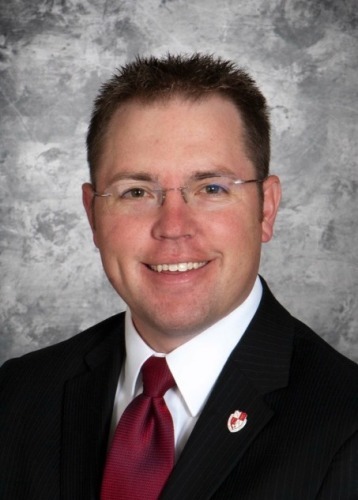 Zach's professional involvements include the National Funeral Directors Association and the Nebraska Funeral Directors Association where he serves as District 2 President. His civic involvements include the Beatrice Chamber of Commerce Board of Directors, Osceola Masonic Lodge, Sesostris Shrine and Beatrice Rotary Club. Zach is also a member of St. John Lutheran Church in Beatrice. Zach enjoys hunting, golfing, and spending time with his sons Brixton and Brooks.